As this year’s Mr. 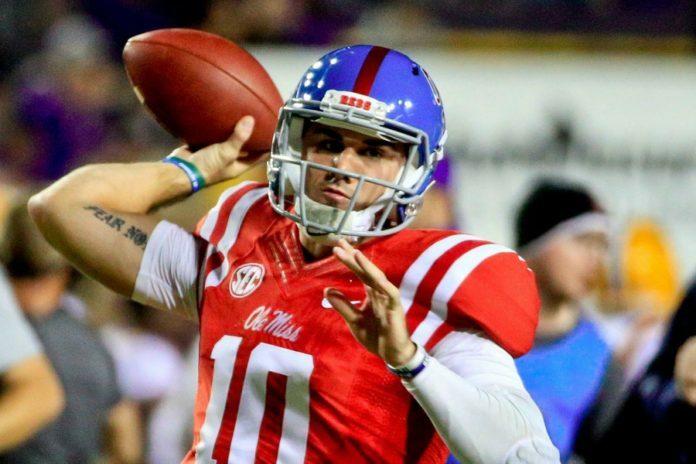 Irrelevant, the Denver Broncos’ Chad Kelly has his work cut out for him. According to his uncle and Hall of Fame quarterback Jim Kelly, that won’t be an issue for Chad. “I told John [Elway] that he’s got a kid that’s work ethic is unmatched. 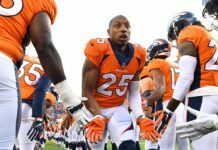 He’s got a competitor,” Kelly told Ryan Edwards and Danny Williams while on Mile High Sports Radio. There’s no doubt about it, Chad has loads of talent. 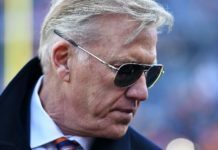 A big-time arm, the ability to scramble and a reckless, go-get-it attitude that would bring some flavor to an otherwise vanilla Broncos’ quarterback depth chart. Although that attitude has gotten him in some trouble in the past, uncle Jim has a clear message for doubters. Uncle Jim didn’t sugar coat it either. He calls it like he sees it, but has also seen Chad mature immensely. As far as Chad’s attitude towards the game, Jim finds it better than his ever was. Chad’s drama recently resurfaced, as he could be seen on video storming the field after an altercation broke out during his brother’s high school football game against a hated rival. His brother, Casey Kelly, was being kicked at the bottom of a pile. Uncle Jim doesn’t look at this as an issue, because wouldn’t you want to protect your family as well? “What would you do as a brother? I would be running the exact same thing he did, and everybody else would do it,” said Kelly. According to Jim, Chad’s knee is almost all the way healed, but his wrist is still an issue he’s dealing with currently. Once those injuries are a thing of the past, Jim sees Chad not resting until he’s satisfied. Listen to the full interview with Jim Kelly, including information on the website he is partnered with: yourcancergameplan.com, in the podcast below. Merck has teamed up with head and neck cancer survivor and Pro Football Hall of Famer Jim Kelly as well as leaders in the head and neck cancer community on Your Cancer Game Plan – a new awareness campaign focused on helping people with cancer and their loved ones tackle their emotional, nutritional and communication needs. By visiting www.YourCancerGamePlan.com, people can hear Jim Kelly’s story as well as inspiring stories from other patients. There is also unique content, including nutritional information and recipes, coping strategies and communication tips.